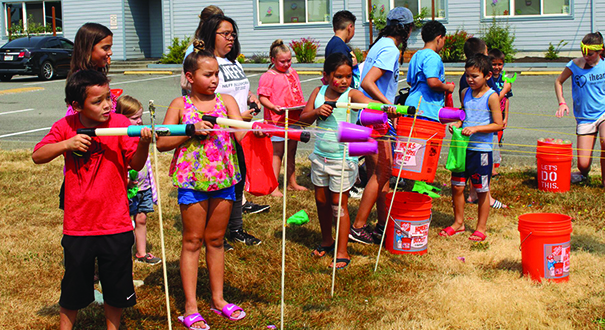 During the first week of August, members of the Marysville Grove Church brought their outreach work to the Tulalip community. 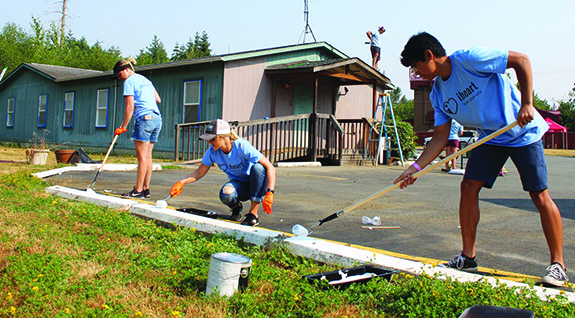 Every summer the church spends five days in each of its surrounding communities, including Tulalip, Lake Stevens, Everett and Stanwood, providing beautification services to specific worksites within those communities. Established in 2011, the volunteer-based outreach campaign is known as iheart. 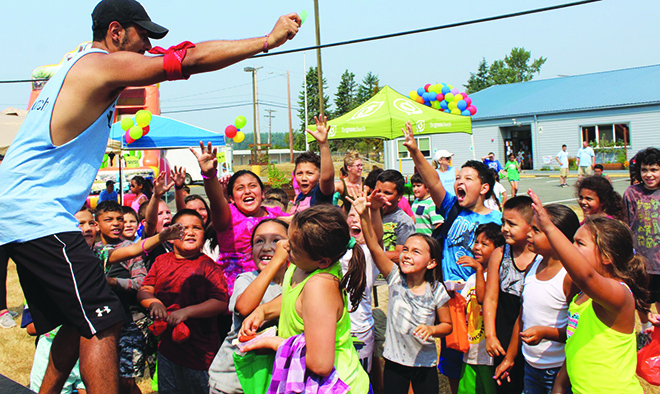 In previous years, iheart worked in various areas throughout the Tulalip reservation, revamping local buildings, ball fields, schools as well as the Boys and Girls Club. This year, volunteers dedicated all of their efforts to remodel one building. Hundreds of Grove Church members of all ages volunteer their time to the local mission trips each summer. Parents who volunteer in iheart are encouraged to bring along their children to participate as well. Kids of the church, between the fourth and eighth grade, volunteer to work at the Kid’s Block Party, held towards the end of each iheart week. 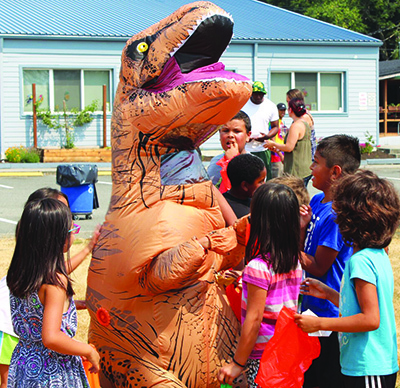 This year, the Block Party took place at the Tulalip Boys and Girls Club. 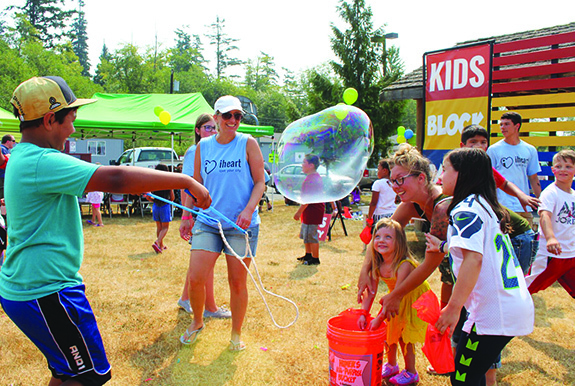 On the hazy warm summer day of August 3, the youth of the community experienced a fun-filled day, enjoying the many activities at the Block Party including super-soaker races, bouncy houses, carnival games, manicures and face painting. “My favorite is the bouncy houses and the water balloons. The water is so fun because it’s too hot. 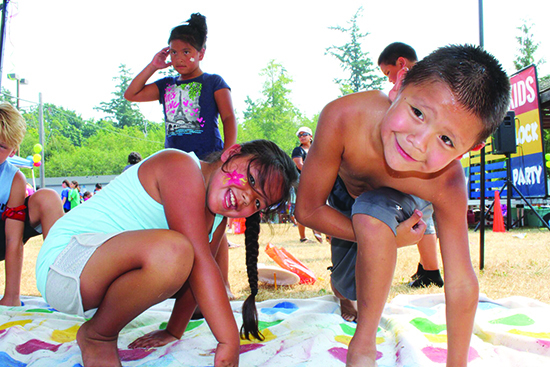 I like everything here, its so fun,” exclaimed Tulalip tribal member, Sylus Edwards. In it’s sixth summer, the iheart project continues to unite communities through their outreach services. This entry was posted in Arts & Entertainment, Local News, News, Tulalip News and tagged Grove Church, iheart, Maryville, Tulalip by Kim Kalliber. Bookmark the permalink.